www.ludmilafilipova.com Ludmila Filipova is one of Bulgaria’s most popular contemporary authors. She is the author of the novels Anatomy of Illusions (2006), Scarlet Gold (2007), Glass Butterflies (2008), The Parchment Maze (2009), Dante’s Antichthon (2010), The Anomaly (2011) and Typo (2012). Most of her books have become nationwide bestsellers and have been translated also into Russian, English, Serbian, Greek, Turkish. Three of her novels are currently being developed into films. 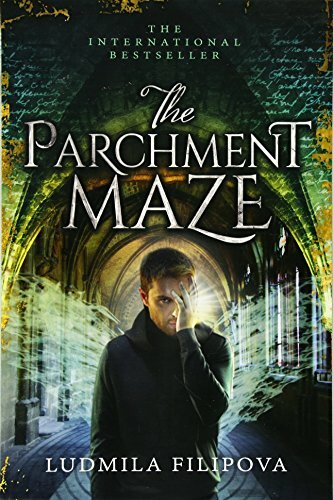 The London WAG TV filmed a documentary movie for National Geographic based on Ludmila’s novel The Parchment Maze. The Turkish production company Sinegraf is preparing a historical international television series based on Ludmila’s first novel Anatomy of Illusions. The movie scripts based on her novels Glass Butterflies and Scarlet Gold won first places in the Bulgarian Film Center competition 2011 and the European MEDIA. Ludmila Filipova was awarded as Woman of the year 2011, Culture and Art category. She was awarded also as Writer of 2013 at the Bulgarian award ceremony Ladies Awards/ Beauty & Success 2013. With her novels, Ludmila Filipova was nominated for the European literary contest Prix du Livre Europeen 2008, short-listed for the Bulgarian literary contest Novel of the Year 2009, and as the only foreign novel nominated for the American literary award Hidden River 2009. With her novels Glass Butterflies and Scarlet Gold at 2013 Ludmila Filipova won one of the most respectful International literary contest in Russia “Yugra”. Ludmila was born on Easter 1977 and she is a granddaughter of the last Socialist Bulgarian Prime-minister Grisha Filipov. Ludmila graduated from the Economic University Sofia with high honors and from the City University(US) with an MBA. She specialized in Creative writing at Oxford University in 2009. Moreover, Ludmila works as a TV presenter, acted in several children and adult movies and she writes as a columnist for the most popular Bulgarian newspaper 24 Hours. She worked as an editor in chief of Media&Marketing magazine and as a journalist for BusinessWeek Bulgaria. Ludmila Filipova’s books are based on and inspired by real stories and facts. She travels worldwide in order to gather the necessary information, conduct interviews, study manuscripts and do researches. She had many readings in Bulgaria, Moscow, Rome, London, Berlin, Turkey, Greece, Apolonia Cultural Festival at Sozopol, and gave lectures in Oxford and for young writers at Albena.